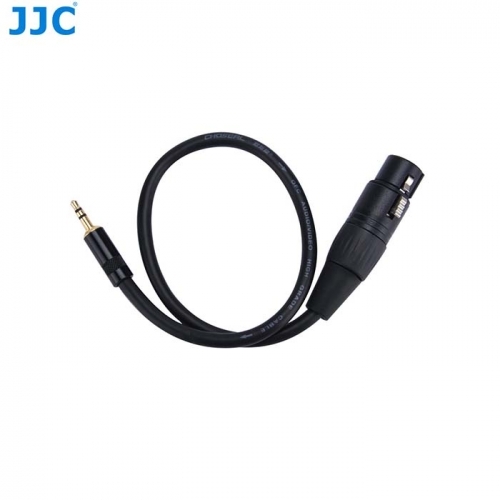 JJC CABLE-XLR2MSM enables a microphone or mic-level device to be input into a high-impedance 3.5mm mini audio input found on DSLRs, camcorders and other devices. It is 1.4'(0.4m) long and designed for use with mono microphones. Just simply insert your microphone to the 3-pin XLR female connector of this cable, then insert this cable’s standard 3.5mm mini plug to your DSLR or camcorder’s 1/8" (3.5mm) audio input, you will be able to use the microphone on your DSLR or camcorder during a video recording.